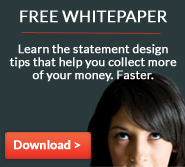 Want your patient statements to collect more self-pay revenue – faster and without increasing delivery costs? That’s a rhetorical question. If you’re responsible for patient financial operations at your hospital or practice, of course you want statements that drive patient response without raising collection costs. Effective patient statements accelerate revenue collection, reduce the risk of patient non-payment, and enable providers to keep a larger portion of the money they’ve earned. And they’re especially important in today’s high-deductible healthcare marketplace. With patients being asked to cover more of the cost of care out-of-pocket, self-pay revenue is making up a larger portion of providers’ receivables portfolio. So it’s imperative that billing connects with patients, overcomes communication barriers, and encourages fast payment of what patients owe out-of-pocket. And, chances are, exactly none of that is news to you. After all, smart, patient friendly statement design has been a hot topic of conversation in healthcare financial circles for years. The HFMA’s landmark Patient Friendly Billing project – launched in 2000 – is a well-rounded teenager today, with dozens of studies, hundreds of articles, and millions of words published in support of its mission of clear, concise, correct patient-friendly financial correspondence. And yet, despite providers embracing the tenants of patient friendly billing – including simple design and jargon-free terminology – some patients are still less than satisfied with the medical bills they receive. According to a 2010 Intuit Health survey, 16% of patients don’t understand the treatment descriptions on their statements, 17% don’t know who to pay, and 31% have allowed a bill to go to collections. What’s the disconnect? After a decade-plus of outreach and education on the benefits of patient-friendly billing, why are providers still struggling with the same statement satisfaction issues? “When Lyman Sornberger took over as the [Seidman Cancer Center’s] executive director of revenue cycle six years ago, Clinic Chief Executive Dr. Toby Cosgrove charged him with creating a single statement for patients. That quote, tucked into a 2012 article from the Cleveland Plain Dealer about patients’ frustration with medical billing, perfectly encapsulates one big reason why patients still struggle to understand patient financial correspondence. Encounters can be highly complex and billing decentralized. A hospital visit for an emergency knee injury, for example, might incorporate a number of providers involved in treatment – from hospital billing, to the ER doctor that saw the patient, to the radiologist that read the x-rays, to the orthopedic specialist that performed surgery. That level of specialization leads to quality care. But it can be a major issue when it comes to billing and payment. In essence, more bills equal more confusion. Tracking and managing five, ten, twenty bills – from multiple providers – can be really difficult. Especially as many patients lack a strong pre-encounter understanding of what they’ll be asked to pay out-of-pocket. That increases the odds that they’ll lean on your customer service staff for answers, increasing phone support and collection costs. It also slows payment and chips away at loyalty hard-won during the treatment process. But billing decentralization affects more than just patients who are confused about why they owe a provider or who they need to pay. Signaled by previous transactions, many patients have learned to put the payment process on hold – waiting until they receive all the billing for an encounter and insurance has adjudicated any outstanding claims before they proceed with payment. And while that approach may give patients a better idea of their overall out-of-pocket costs, it also slows down the revenue cycle and increases the likelihood of their credit being dinged by a delinquent payment. One smart solution to the too-many-bills conundrum? Consolidated statements. Introducing a consolidated statement is far from a turnkey process. There’s a lot of back-end heavy lifting that needs to take place to ensure that your infrastructure and legacy software fits a Single Business Office approach. But that’s a completely different post – perhaps several. Throughout the rest of this post, I’ll be highlighting three statement design best-practices commonly shared by high-performing consolidated billing. When it comes to billing and payment, there are two types of patients. The first just wants to know the basics: what they owe and how to pay. That consumer responds best to an account summary: a fast, easy-to-understand snapshot of their account at the time of statement print and mail. While account summaries aren’t unique to consolidated statements, single guarantor billing improves upon transaction-based statement processing in two key ways. First, all billing and payment information from each affiliated provider is included in a single summary. Instead of forcing patients to track bills and individually analyze the cost of care from multiple statements, all aggregate totals are already calculated and presented. Next, because consolidated statements are delivered once a month, it’s easier for patients to follow billing and payment information from bill to bill. For example, if a patient has more than one treatment episodes in consecutive billing cycles – say surgery first, then physical therapy – single guarantor statement summaries provide a simple rundown of what charges are old, what charges are new, and how they intersect to create the patient’s outstanding balance. An example of the account summary from a consolidated statement. The second type of patient wants specifics and clarity – what was charged, for what services, by which provider. Clarity is the operative word. Billing and payment data presented without the perspective provided by smart design can easily muddle a statement and confuse patients. That’s where a detailed, carefully considered transaction summary can help. Because consolidated statements can integrate data from multiple encounters, providers, or patients, a transaction detail is a must-have element. 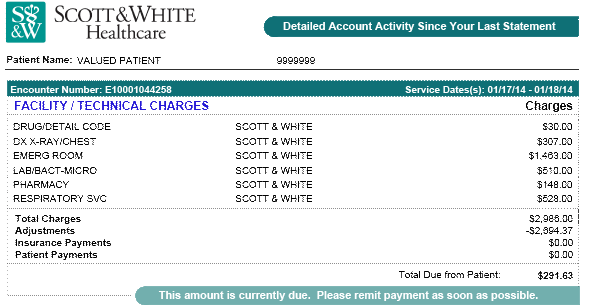 It adds depth to the patient’s account summary by breaking out the specifics of new charges in detail. That typically includes both encounter information – like facility, provider, and services – as well as financial details for each transaction – what a patient was charged, what they’ve paid, what insurance has paid/adjusted, and the total amount they now owe. Transaction details should provide a clear rundown of charges for each new encounter. Monthly consolidated statements will be a new type of financial notice for most patients. And although the format isn’t radically different from a traditional single-provider, transaction-based statement, it’s new enough to require additional patient outreach and education. In other words, give patients the information and resources to understand and take response on the cues of your new statement format. Help set clear expectations for your patients with the following tools. Simple and deliberate payment instructions. Don’t bury the lead. Make it clear what patients owe and by when. For example, if you offer the opportunity for patients to make a minimum payment, tell them in no uncertain terms both what they’ll have to pay by the due date and the total amount that they owe. What charges are covered. There should be no ambiguity about what charges the statement outlines. State clearly what is covered (e.g. physician and hospital/facility costs) and let patients know if they could receive additional bills not covered by your combined business office. How to pay down specific balances. Consolidated statements use FIFO (First In, First Out) to allocate partial payments. That can confuse and frustrate patients who want to pay down a specific charge first. To lessen that concern, consider giving patients the option to select the encounter for which they’d like to allocate a payment. Statement Help. Whether it’s variable, on-statement billing instructions or a link to a web-based consolidated statement FAQ, it never hurts to provide patients with as much extra information as possible on the ins-and-outs of your new financial initiative. Consolidated statements reduce the number of bills patients receive. And, together with user-friendly design practices, that can go a long way towards reducing collection costs, accelerating payment, and increasing consumer satisfaction with the financial correspondence they receive. Want to find out if consolidated billing is a fit for your patients? 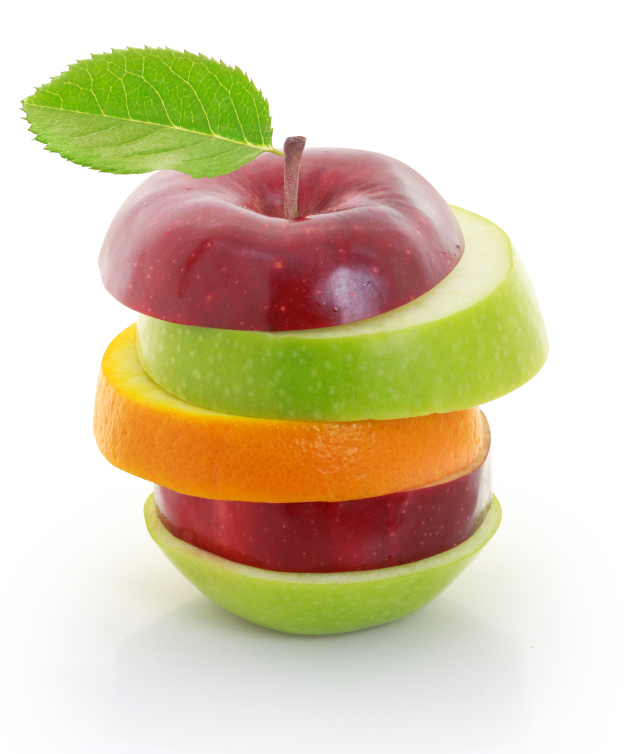 Schedule a free assessment with the healthcare statement print and mail experts at Elite today.